Wow, I love that top! It's so unique! Love your top! The back is so cool :) Cannot wait to see your post on how you started blogging! I love you're outfit! I heard that around Halloween time all the thrift store put out way more "outrageous" and fabulous vintage clothes, so I'm really excited for Halloween this year. I only recently (last Christmas) got more into vintage. 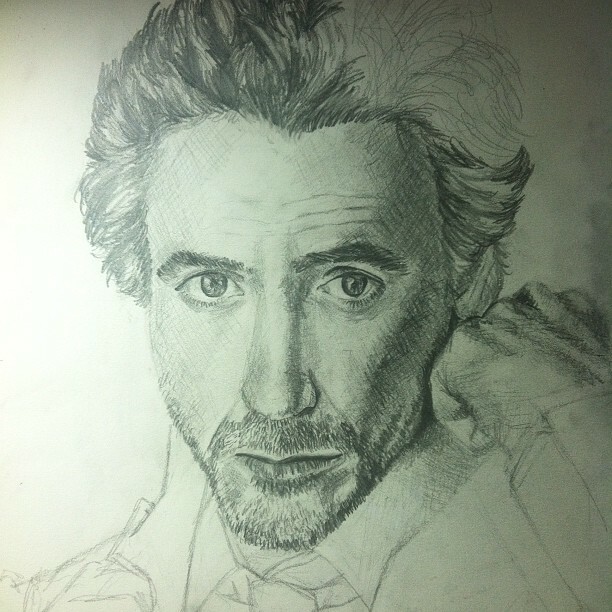 And I love you RDJ drawing. It is perfection. I love him. The back of the singlet is really rad! this top is so original ! 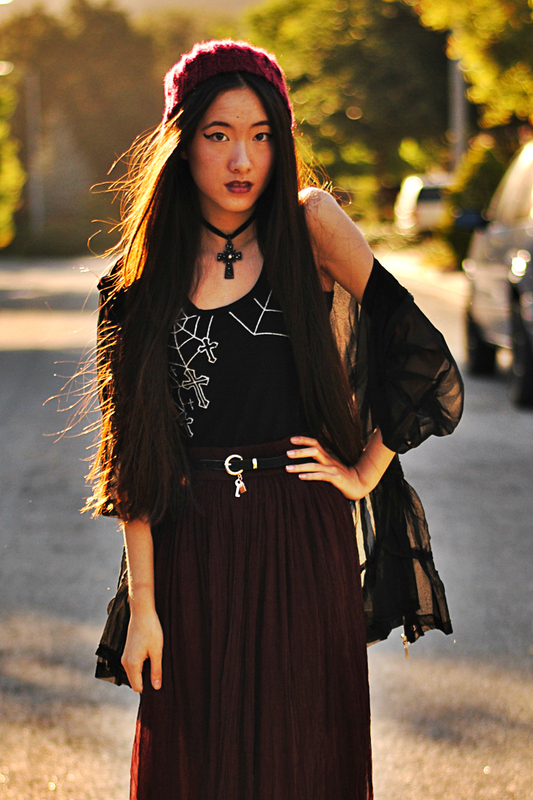 It has its own personality, it differs from all the tops you can find currently -with skulls & other things like that. It's not copying anything, I just love it.